Dimensions 1.50 by 7.50 by 9.50 in. Amazon.com description: Product Description: Master the skills to create applications in the new, dynamic Visual C++.NET development platform! Rather than using pre-written code, you build applications from the bottom up to facilitate a deeper understanding of the concepts used in programming with Visual C++.NET. Create and modify simple Windows applications, and learn the tools to create more complex applications. 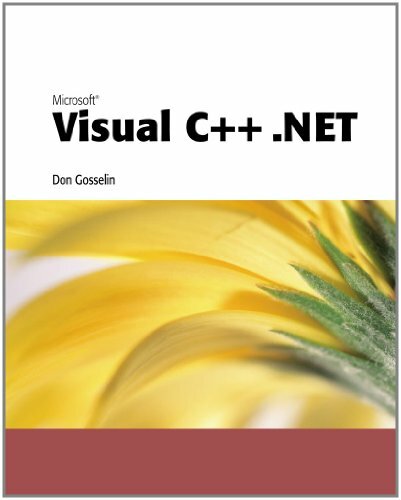 The book initially presents hands-on instruction in the basics of C++ and Windows application programming, then brings the reader confidently into the Visual environment in the second half of the book. You'll be comfortable using the most innovative, state-of-the-art programming tools in no time! About: Master the skills to create applications in the new, dynamic Visual C++.